New York, N.Y. -- Hillary Clinton is set to launch her third television ad of her campaign this week in Iowa and New Hampshire. 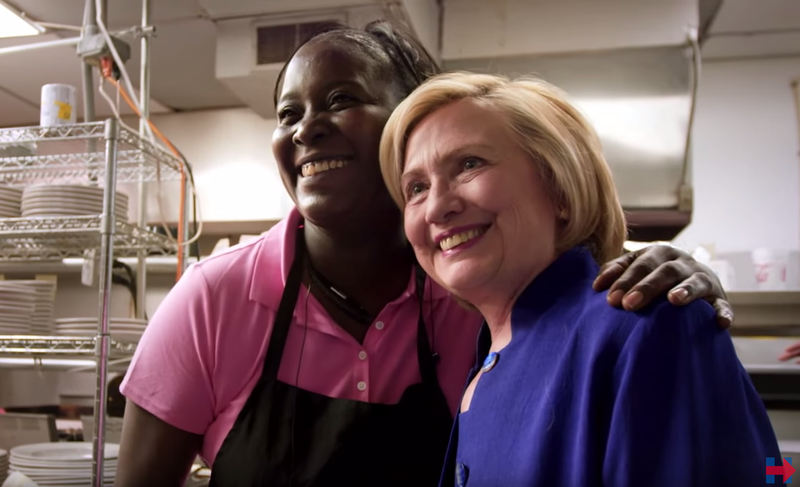 The new 30-second spot, which will appear with two other ads in a five-week, $2 million ad buy announced by Clinton's campaign earlier this month, focuses on Clinton's plan for the economy. "When you see that you've got CEOs making 300 times what the average worker's making," Clinton says on camera at the beginning of the ad, "you know the deck is stacked in favor of those at the top." The ad, which is titled "Reshuffle," echoes a key theme of Clinton's campaign and one of Clinton's central goals for her presidency: to raise incomes for working Americans. In Clinton's first speech on the economy in July in New York, Clinton called raising middle class incomes "the defining challenge of our time." Clinton has made a variety of proposals toward her goal, including raising the minimum wage, expanding the workforce through public and private investments in infrastructure and education, writing a more balanced tax code and ensuring equal pay for women. "We need to have people believing that their work will be rewarded," Clinton says in the ad. "So I'm going to be doing everything I can to try to get that deck reshuffled so being middle class means something again." The new ad, which references her mother's upbringing and features a old photo of the Rodhams, is a departure from the ads that Clinton's campaign launched two weeks ago, a pair of positive, biographical ads which aimed to reintroduce Clinton to voters in the early states. "When you see that you've got CEO's making 300 times what the average worker's making you know the deck is stacked in favor of those at the top. "I want it to be back where it was when I came of age. Where my mom who never got to go to college could see her daughter go to law school. We need to have people believing that their work will be rewarded. So I'm going to be doing everything I can to try to get that deck reshuffled so being middle class means something again."